Which one did you rather I love both of them but Tangled was more classy and modern than Enchanted which was a little bit cringe. The characters in Tangled were more funnier and the part where your man had to sacrifice his life for Rapunzel was very good I was a little bit shocked when he got stabbed and sort of died.Plus the music in both movies were brilliant. it’s a pity though the intro for Tangled didn’t have a storybook and went straight through the castle when it says Walt Disney Pictures that would have been cool. Ok, my opinion is that Tangled was way better in every way shape and form. This is because Gizelle was a little...um...too...Snow White for me. 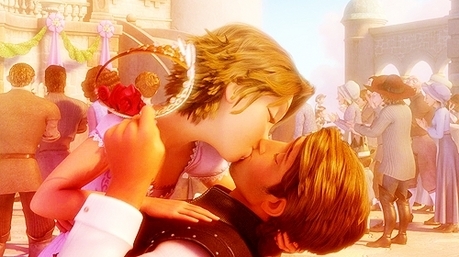 (oh and I am not a snow white fan at all) plus Rapunzel and Flynn were both not the cookie cutter princess and prince. Gizelle played the role of a princess too well. However I did enjoy the Enchanted music as well as the Tangled. Overall I like Tangled MUCH better than Enchanted. Thanks for posting this!